A father-of-four from Liverpool who died at Hillsborough along with his brother has been remembered at the new inquests into the disaster. Stephen Harrison, 31, his brother Gary, 27, and 94 other fans were crushed to death on the Leppings Lane terrace. The pair, from Liverpool, who had five other brothers, had travelled to Sheffield to watch their team play in the FA Cup semi-final on April 15 1989. Two other brothers were in a different part of the stadium. Stephen's widow, Susan Harrison, in a statement to the coroner's court hearing the inquest, told the jury that the couple fell in love at first sight and were married at 18, with her husband becoming a devoted family man and a "true gentleman". "Stephen was my rock, my soulmate and for our four children he was their world," she said. "The day Stephen left our lives our world fell apart, not just as a family but as individuals." Mrs Harrison, whose statement was read by their daughter, Joanne, added: "It breaks my heart to think that Stephen has missed out on watching his children grow up and have families of their own." A second statement from his mother, Anne Wright, also read by his daughter, said: "My two boys were good sons, brothers and fathers." The inquest, held before a jury in Warrington, Cheshire, is hearing a succession of emotive "pen portraits" as each bereaved family gives brief statements about the loved ones they lost in the tragedy. Paul Carlile, 19, came from a large extended family from Kirkby, Liverpool, and was "brought up to be a law-abiding citizen", his mother, Sandra Stringer, told the jury in a statement read by his sister, Donna Miller. "He was not a hooligan or a drunk." Mr Carlile served as an altar boy at St Peter and St Paul's in Kirkby and his grandmother wanted him to become a priest. But he ended up an apprentice plasterer and would come home, sweep his mother up in his arms, kiss her and swing her around like a "rag-doll" with "plaster flying everywhere" as they dissolved into laughter. The day before he died, he finished his apprenticeship - "a very proud day for him" - and was to start his first job the following Monday. A "loved and respected part of the community", the street he lived in has been re-named Carlile Way at the request of his neighbours. Mrs Stringer added: "We don't know what his dreams were. I guess he thought he had a lifetime to fulfil them. "He was 19, his life was only just beginning. He didn't get the chance to fall in love or hold his own child in his arms. "People say time heals. It doesn't. You simply learn to live with your grief. "He went to watch the team he loved and came home in a coffin." Student Christopher Devonside, 18, from Formby, Merseyide went to the match with 10 friends - and was one of three killed that day, his father Barry said. Mr Devonside told the hearing that his son was doing his A-levels and wanted to become a journalist. He described him as laid-back and relaxed and brought up to respect himself and others. He added: "His life was ended abruptly, prematurely and unnecessarily because of the failure of others, preventing Chris from fulfilling his dreams of travel and university." St Helens-born Jonathon Owens was living with his parents, Patricia and John, in Chester when he was killed not long after his 18th birthday, his mother said. He worked at Royal Life Insurance in Liverpool, where he made a group of friends, and went to Anfield for the Reds' home games with some of them. The Hillsborough cup tie was his first away game and he said "Don't worry, Mum", reassuring her that he would be OK driving all the way to Sheffield in his father's car. Mrs Owens added: "He was a wonderful son and the love we felt when he was born did last forever." Ex-soldier Anthony Kelly, 29, from Rock Ferry, Birkenhead, was an only child to Betty Almond and Tony his father. Born weighing just 2lbs he was christened straight away but lived and grew up to thrive at school and enjoyed football and music. He made his parents proud when he joined the Army at 18 and did various jobs after leaving the forces, his mother told the inquest in a statement read by a legal representative. Mrs Almond added: "I miss him so much. Anthony was our only child. 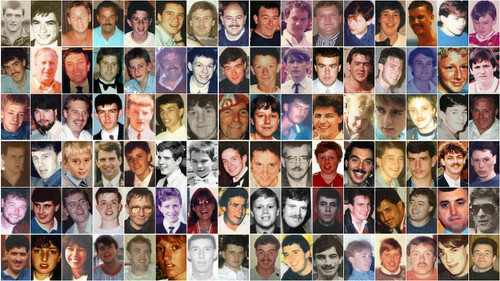 Hillsborough should never have happened." 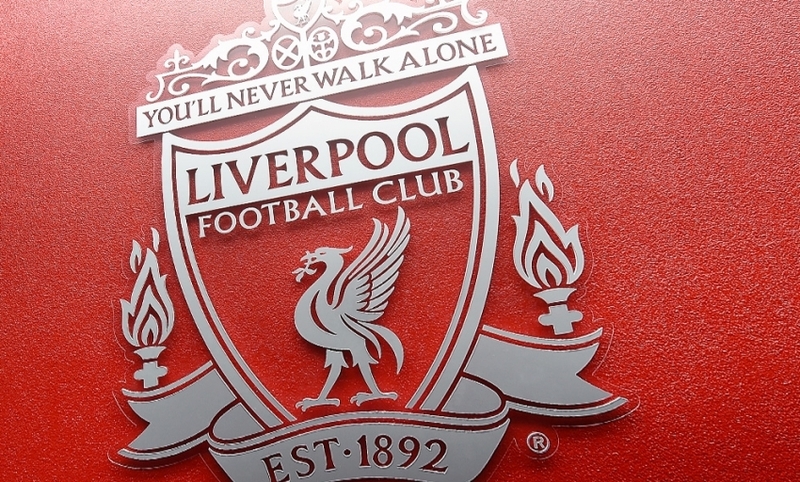 Martin Wild, 29, from New Mills, Derbyshire was a life-long Liverpool fan, went to all the home games but rarely away matches, the inquest heard. The elder of two brothers he grew up living with his grandparents, leaving school at 15 and worked at a local printing firm. He drove to the game with close friend John Murray but did not return home, the jury heard.